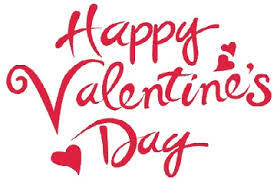 Wishing all of our families a very happy Valentine’s Day from Fair Acres! At a very early age, children recognize the power of poetry, and its ability to inspire emotions. It is especially fun to create poetry around holiday themes, when children are excited to make cards for their loved ones…below, is a selection of Valentine’s Day songs and poems you may enjoy sharing with your children that might inspire them to come up with some of their own beautiful sentiments. The three-line haiku (five words/seven words/five words) is a great way to start! http://www.fairacrescapecod.com/wp-content/uploads/2017/09/Fair-Acres-Logo.png 0 0 Fair Acres http://www.fairacrescapecod.com/wp-content/uploads/2017/09/Fair-Acres-Logo.png Fair Acres2016-02-12 16:56:502017-10-24 12:32:26Happy Valentine’s Day!